Last time I tried to work this out, turns out the raycast always hits the default layer regardless of mask settings. Had to make sure everything had a layer other than default set permalink... * **Layers To Ignore:** The layers to ignore when raycasting. The Simple Pointer object extends the `VRTK_WorldPointer` abstract class and therefore emits the same events and payload. Unfortunately, my game uses multiple canvases to handle pop up dialogs and such additional UI elements (I didn't make the system), so it seems like an expensive operation to have to Find all the canvases and then raycast for each one of them.... Hello, I tried what you said with the "Ignore Raycast" but I still have the problem. (I unchecked "Ignore Raycast" in the "Raycast Layer Mask" of the "GazeManager". Do you know what else could be the problem? Thank you in advance. layer mask-1st select 'everything' and then uncheck 'ignore raycast' note in the download meele.unity the layer mask isn't set, you have to set this yourself apparently. Note he has a lot of layers I wonder if they're in RPG kit, note they are scene specific I think, maybe not. Reset it's Transform values to place it at the centre of the scene, and place it on the Ignore Raycast layer. Then add the Animator component. Now we need to create our animation clips. Hello, I tried what you said with the "Ignore Raycast" but I still have the problem. (I unchecked "Ignore Raycast" in the "Raycast Layer Mask" of the "GazeManager". Do you know what else could be the problem? Thank you in advance. 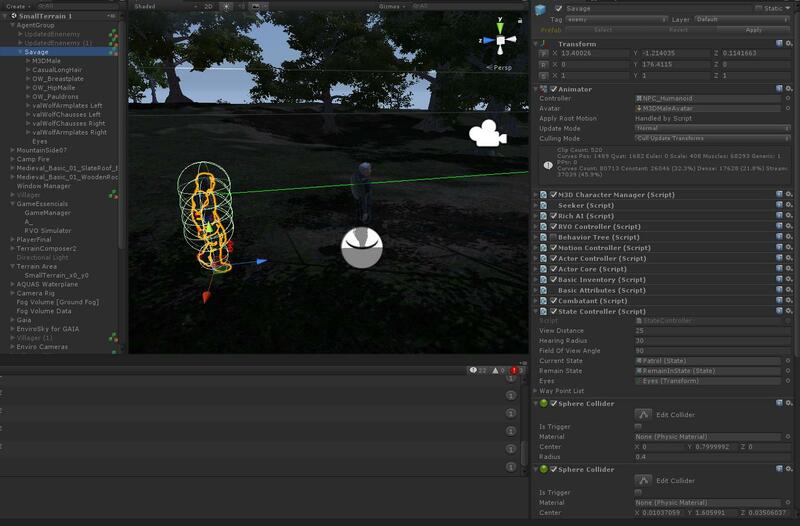 Unity3D: 3rd Person Shooter Camera I reviewed and updated this C# script from the Unity3D 3rdPersonShooter project, so you can just add it to your camera and drag your player onto the "player" variable and thats it.